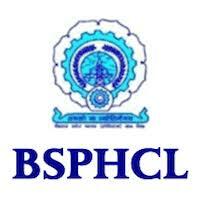 BSPHCL Jobs Recruitment Notification 2018.Bihar State Power Holding Company Limited (BSPHCL) inviting applications for the positions of Junior Engineer.Interested and Eligible candidates can apply for the positions. Last Date for Submission of Application is on July 25th, 2018.. Candidates must be completed Diploma in Civil or equivalent from the organization / Board. Candidates age must be Minimum age 18 years and Maximum Age 37 years. For age relaxation check the official notification. Selected candidates will get pay Rs.25,900/- to Rs.48,900/- from organization. Interested candidates apply online through 07th July 2018 to 25th July 2018. Application fees for applicants for Gen / OBC is Rs.1500/- and for SC/ ST/ PWD is Rs.375/.